The St. Ann branch of the Baton Rouge-based chain, Piccadilly Cafeteria features home-style meals and comfort food on St. Charles Rock Road just east of Lindbergh Boulevard. 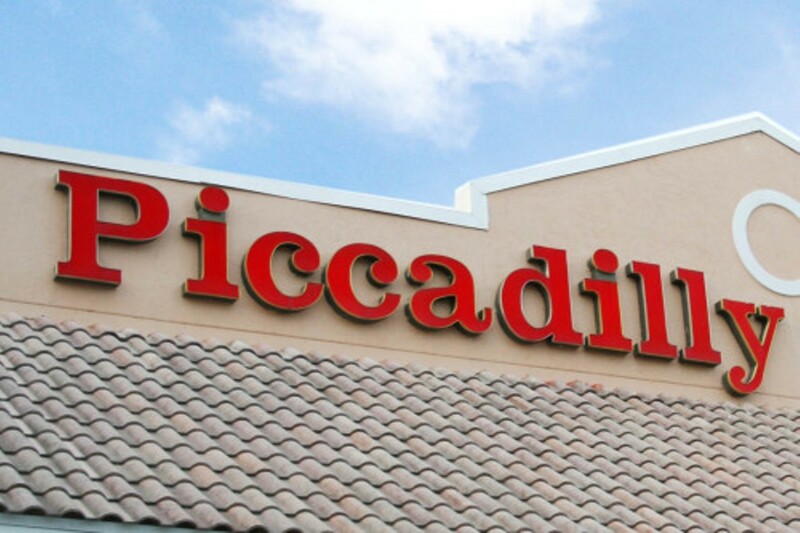 With a large, cafeteria-style menu, Piccadilly is loaded with Southern-influenced, old-fashioned entrées and hearty sides. Diners can follow along the line and indulge in fried chicken, turkey and gravy, chicken-fried steak, a pork chop smothered in buttermilk gravy and catfish cooked in a spicy sauce. Side items include fried okra, mashed potatoes, carrot soufflé and turnip greens simmered with bacon. Before paying for your tray, Piccadilly Cafeteria also puts out quite a few desserts to choose from, including cakes, cobblers, pies and brownies.